The most important strategic analysis and comprehensive overview of the commercial real estate sector is here! 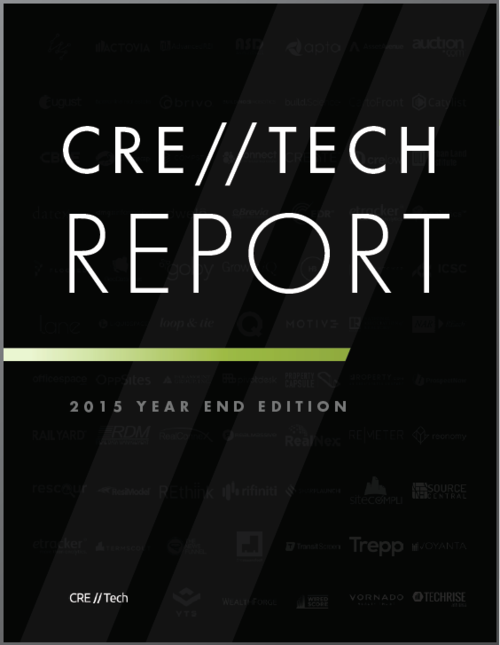 Our 2015 End-Year Report discusses the confluence of factors that have resulted in the continual growth in commercial real estate technologies. Leasing data, workflow platforms, “open source” data exchanges, advanced analytics platforms and online market place solutions are emerging as key areas to watch in the industry. Macro trends like big data, real-time analytics and increased mobility are enabling new solutions. Improved property market conditions are allowing owners and service providers to invest in new tools. Venture capitalists, angel investors and property owners are also seeing the potential for technology firms to scale and as a result are providing much needed capital to fuel growth. More millennials are joining the industry and recognizing the opportunities to apply new technologies to solve old problems.